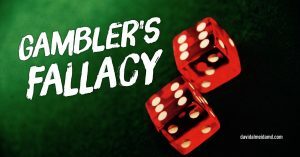 TASK AT HAND: This week I’m thinking about the gambler’s fallacy. When you flip a coin, the outcome (assuming a fair coin) is independent of the previous result. The gambler’s fallacy is the mistaken belief that, what happens more frequently in one time period, will happen less frequently in another time period. For example, someone flips a coin and it lands on heads five times in a row. What do you expect the next result to be? It’s still a 50% chance of heads or tails because, in situations where what is being observed is truly random, the previous result has no effect on the next result. The fallacy to think that the next coin flip will reveal tails, because the last five were heads, occurs by the appeal of this fallacy to the human mind which surmises that the next result “should” be different than the previous ones. Why are we talking about this on today’s Sunday Surgical Scrub? The reason is this fallacy arises in varied situations and needs to be differentiated from the principle that, the best indicator of future performance is past performance. The significant difference between this key principle and the gambler’s fallacy is that the latter applies to random events while the former is best applied to the complex personal and professional strategies we employ. For example, let’s take the situation of a job application. Let us take someone who has been turned down for five straight positions and has a sixth interview scheduled. He or she can take the approach that, “I’m bound to get one of these jobs sooner or later since I’ve been rejected so many times”. This is the gambler’s fallacy at work. Don’t see this as a random event in the same way a roulette spin is a random event. Our choices involve a multitude of inputs that we must process and then synthesize a coherent strategy from. The preferred adaptive approach would be to ask for feedback at the five rejections and look for common themes. Why are you not getting these jobs? Are there more qualified applicants? Is there a problem with your skill set? Do you have a bad reference? If you don’t seek this crucial information out, it will be difficult to break through and change the result. Contrast this with someone who pays attention to detail and seeks out positions that best suit his or her skill set. They may only get two or three interviews but, the chance of successful conversion, will be higher. “Casino gambling is colorful and dramatic and theatrical” (Steve Wynn). Leave gambling to the theatrics of the casino. Don’t gamble with the decisions we ponder and pontificate on. Avoid the gambler’s fallacy in random events and, when it comes to choices and crossroads, use the power of analysis to maximize your performance and achieve the objectives you seek. Don’t ever leave these to chance. 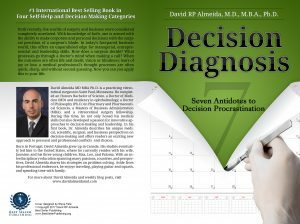 MEDICINE & MACULA: Many thanks for the interest and support for my new book, Decision Diagnosis: Seven Antidotes to Decision Procrastination. Since its release, it has held a top spot on Amazon in multiple categories and in multiple countries. My sincere thanks for the support! The paperback will be released in the next few days and you find it here. 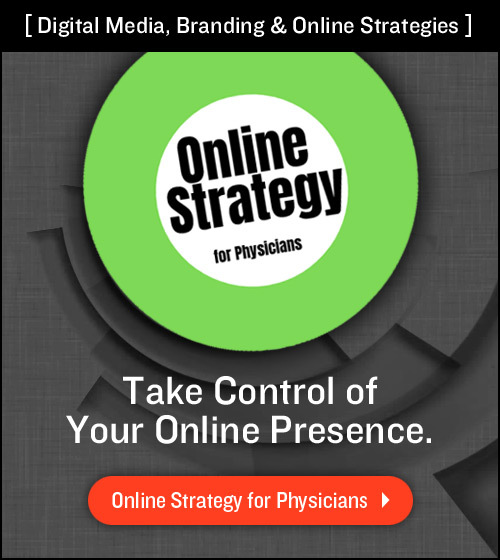 “What makes a strategy successful? TASK AT HAND: This week, as you have probably noticed, I’m going off script here on the Sunday Surgical Scrub. 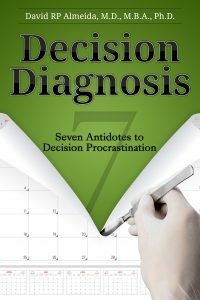 Earlier this week, I published my first book entitled, Decision Diagnosis: Seven Antidotes to Decision Procrastination. As part of the initial launch, I have reduced the price to 99 cents for a limited time. In return for this reduced price, I ask that, if you choose to download the book, you kindly take a moment to leave a review. My book will only be at this reduced price for the next two weeks and you can find it on Amazon here. Are you struggling with decision-making? Are you having difficulty with the efficient application of strategies, whether in life or work? Is your life negatively affected by feelings of mediocrity, a sense of being stuck or glued to a lack of progress, or a lack of ability to move to the next phase in life? If you are overwhelmed with decisions or struggling to find the best way to succeed and move forward, there is a solution. You can’t make successful decisions if you don’t know what those decisions are asking of you. But when you uncover all the parts you need to consider, you can make fruitful and focused decisions. In this book, via the brokering of economics theories, the scientific method, and a surgical approach to medical problems, you will find innovative methods to diagnosing decisions and tools for improving your clarity in personal and professional decision-making. My years as a physician and surgeon have given me insight into the diagnosis of complex diseases. I have learned that they can appear in many ways. 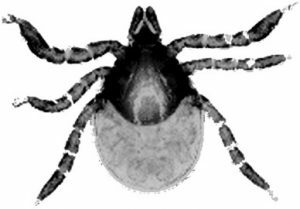 Sometimes, a patient’s disease presents itself in a textbook way, making the diagnosis and treatment straightforward. However, most of the time, diseases present in convoluted manners, leaving doctors confused, with the possibility of complications with catastrophic implications. Similarly, one day, life may flow predictably and idly, and the other, it may thrust you into violent storms that require sharp strategy, thoughtful decision-making, and excellent execution. So why not equip yourself to react and apply the correct techniques and maneuvers to prevent this pathology from taking a permanent hold? The seven antidotes are all about uncovering the relevant factors of your decisions so that you can be successful in your decision-making process. There are seven characteristics that you need to evaluate and judge to enhance your ability to be efficient and successful in decision-making: character, setting, timing, quality, quantity, aggravating factors, and alleviating factors. Over the next chapters, I will show you how to apply this framework effectively, and I will break down complex decisions to give you the best possible understanding as you navigate through the difficult storms of life. GRATIS: I’ll post one more portion of the book here next week as part of the initial launch. 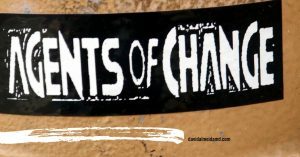 TASK AT HAND: This week I’m thinking about agents of change. Specifically, how you can be your own agent of change. 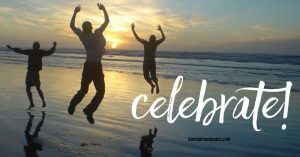 Today, New Year’s Day 2017, many will awaken with resolutions and recipes to improve during the year ahead. However, from the best available evidence, only about 8% of people are successful at achieving their new year’s resolution and implementing some sort of meaningful change in their life. That is less than 1 in 10. I find this failure rate surprising because we have an incredible ability to process and understand information. The bottleneck is in its implementation and persistent application. So, here are three quick tips to facilitate your ability to be an agent of change. 1. Start Small. Don’t attempt to change a multitude of behaviors overnight. Don’t set a plan that is beyond your reach. I see this commonly done. It is a predictable form of self-sabotage. This causes you to start with unrealistic plans, quickly fail, and then you are back to old stagnant ways. Instead, start small, set mini-goals, achieve, and build momentum. 2. Be Persistent. Stick to that which you want to change. In this regard, persistence and perseverance are congruent to progress and the powers of invention. Aim for a minimum of 80% adherence to the change you want to see. Let’s take learning a new language as an arbitrary example. Practice 4 days a week (80% of a 5-day work week) and go from there. 3. Be Kind. Be kind and allow yourself to change. This is the whole barrier. This is the singular obstacle in our puzzle. When I allow myself to change, I am forced to adapt in a new manner to the circumstances that exist. When you are kind to yourself, you accept that behaviors are not a binary process of pass/fail or yes/no but rather processes of evolution. So, as you step into the hours of a new year, as the days click by on the 2017 odometer, allow yourself to change constantly. In the months that lie ahead, procure problems and opportunities in some new manner so that, when you look back this time next year, you see yourself as an agent of change. MEDICINE & MACULA: Let’s start off the year with a wonderful image of a hemispheric retinal arteriovenous anastomoses from a patient with Wyburn-Mason Syndrome. 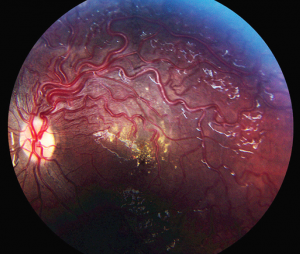 We published this image back in November 2015 entitled, Hemispheric Retinal Arteriovenous Anastomoses (Eric K Chin, D Brice Critser & David RP Almeida) in JAMA Ophthalmology (2015;133(11):e151687. doi:10.1001/jamaophthalmol.2015.1687).